It's always nice to stumble upon good things. 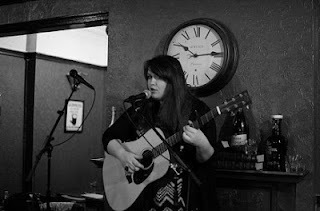 (Someone should invent a website that does something like that...) Tonight's pleasant discovery being a shiny new demo from London singer/songwriter Laura Boyle, downloadable for free. We haven't written about Laura since we enjoyed 'Wanderlust' last October so we're overdue a reprise. Laura has dropped the occasional demo over the last year but it's the rough recording of 'At My Side' that has re-ignited my passion for her music. Sure, it crackles and pops, but 'At My Side' also showcases Laura's magnificent vocals and eye for a beautiful melody. Download this hopeful tale of romantic reconciliation via the embed below. Find more info at facebook.com/pages/Laura-Elizabeth-Boyle.